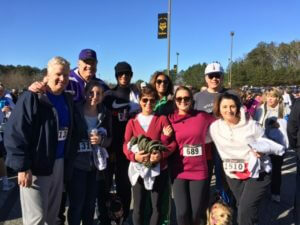 This Saturday, January 28, the Will to Live Foundation will host their 7th Annual Fun Run for Hope in Johns Creek, GA. The Will to Live Foundation was established in 2010 to promote awareness of teen suicide, educate the community about mental illnesses like depression and deliver hope to teens everywhere. Source Support Services is deeply connected to the Will to Live Foundation through our President and GM of Sales, John Trautwein, who, along with his wife, started the Will to Live Foundation after the suicide death of his 15-year-old son Will in 2010. Source continues to be inspired by the positivity, love and hope that run through the very core of the foundation’s mission. We are proud to support Will to Live and our community by participating in this year’s event as team “Source Strong”. If you would like to learn more about the Will to Live Foundation or this weekend’s “Where There’s a Will There’s a Way 5K”, click here.